Now look at that! 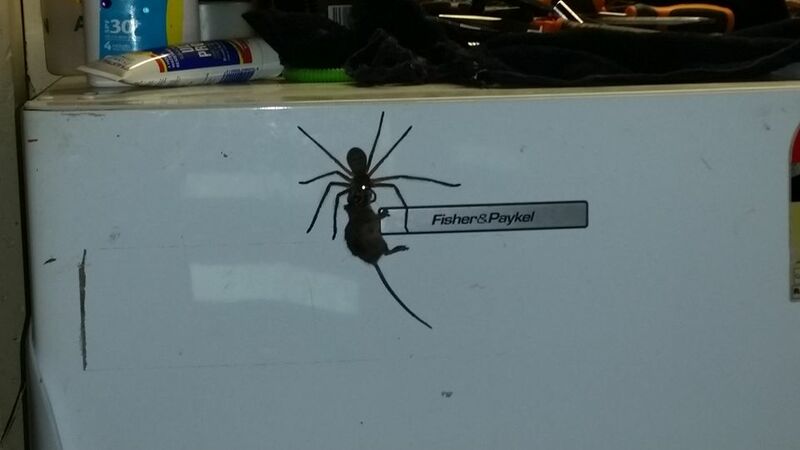 This enormous mutant spider is carrying a mouse up a fridge! 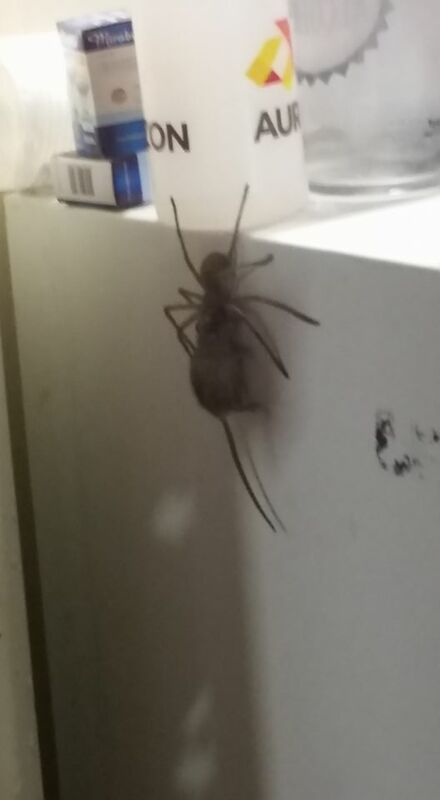 Well that’s a large and frightening huntsman spider! 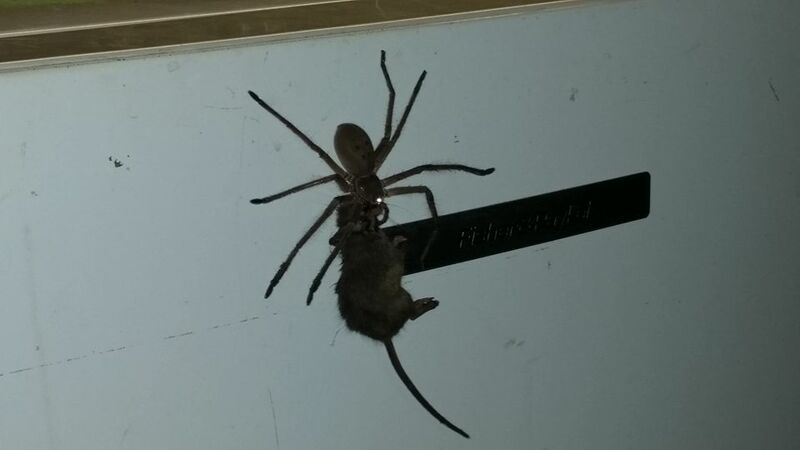 This enormous huntsman spider dragged a mouse up the side of an icebox inside a home in Australia. 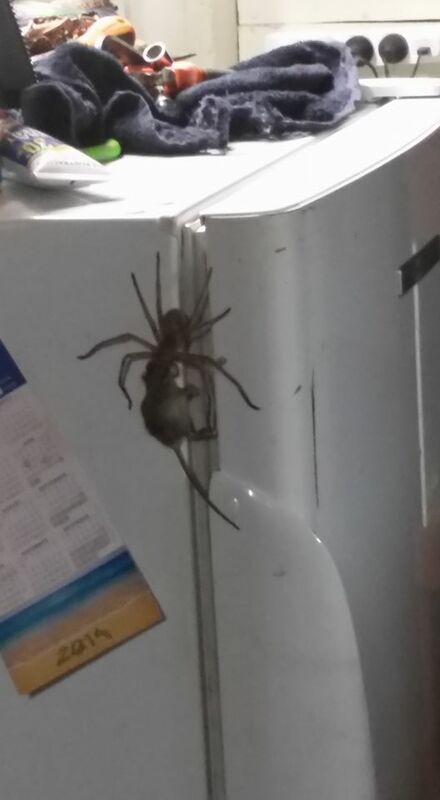 A huntsman spider has terrorized the internet with its feat of strength, carrying a mouse up the side of a refrigerator. 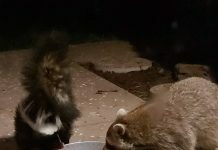 The spider is now fine. It has been baptised Hermie and is now running his own extermination business out of our town Coppabella. Hey Jason, you are probably the next on the list.